People may not take single-sided hearing loss as seriously as they would hearing impairment in both ears. This kind of thinking could lead to a quick and permanent loss of hearing if not addressed quickly. 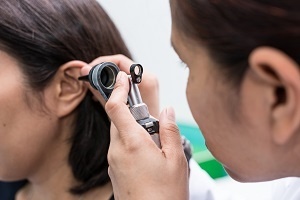 Audiology Services of Marin offers the following information about why you never want to ignore any type of hearing loss, whether it be in one or two ears. Sensorineural hearing loss is a permanent hearing loss that occurs when the ear’s tiny nerves are damaged or die off. Although not tied to aging, this gradual type of hearing loss tends to get worse over time. Sudden sensorineural hearing loss (SSHL) occurs very quickly, often over the course of just a few days and usually in one ear. Sounds become progressively more muffled over this timeframe as the ear becomes unable to hear certain frequencies or pitches. Fortunately, SSHL is more treatable than the gradual variety. If the patient takes quick action within the first few days of noticing the hearing loss, about 50% of individuals will recover most of the hearing they had before the episode began. However, if the hearing loss isn’t treated quickly, the damage may be irreversible. About 4,000 people experience SSHL each year, with most patients under the age of 50. Oftentimes, the sudden hearing loss is discovered in the morning when the person notices they can hear an alarm louder in one ear, or when they put a phone up to their ear and have problems hearing clearly. In rare situations, the person may hear a popping sound just prior to the sudden hearing loss. 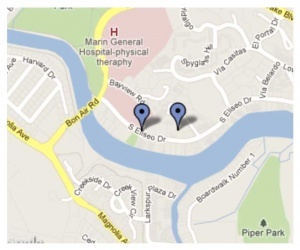 If you suspect SSHL, call us immediately at (415) 461-9703. If you are unable to get an appointment with a hearing professional, you should visit the nearest emergency room to give you the best chance of recovering your hearing.